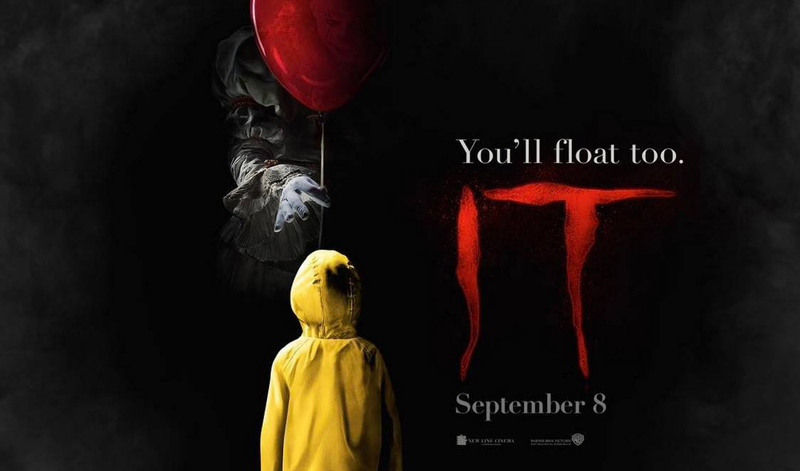 A very successful adaptation of the Stephen King classic, It has great development in characters alongside the horror that makes it both a coming of age tale and a creepy horror. It’s the 80’s and in the town of Derry, Maine, everyone is shocked when youngster Georgie is taken and presumably killed by an unknown evil. His brother Bill feels guilty about it as he was too sick to go out and play with his brother the day of the horrible event. Bill finds some comfort in his group of friends; loudmouth Richie, quiet, skeptical Stan and hypochondriac Eddie, who are all outcasts in a way. Summer vacation begins and Bill is still refusing to believe that his brother is dead. But as summer continues, soon something sinister takes hold and begins tormenting him and his friends. Add to this that numerous children are going missing much in the way that Georgie did and the gang are spearheaded into investigation. Around this time, Beverly Marsh( who is derided by others for alleged promiscuity, but in actual fact is being abused by her father), becomes part of the group . The group is later joined by two other lost souls in the form of loner Ben and orphaned Mike. They become known as The Losers Club. All of them are plagued by terrifying visions; making them vow to unearth what it is that causes these terrifying occurrences. Along with this, each has a variety of issues of a personal nature to deal with on a daily basis. 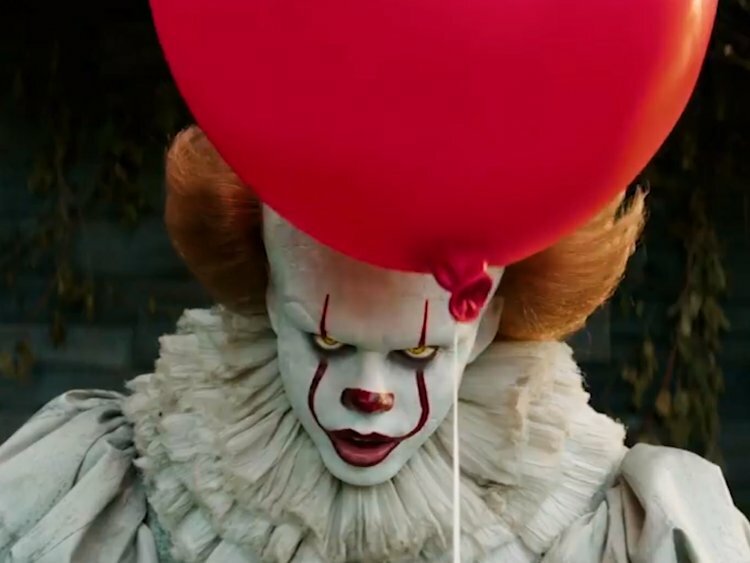 What they discover is that the thing that took Georgie is in fact a manifestation of fear, that often takes the form of an evil clown called Pennywise. It feeds on fear every twenty-seven years and it’s targets are children. It’s all a matter of if these seven kids can defeat such evil before it’s too late. 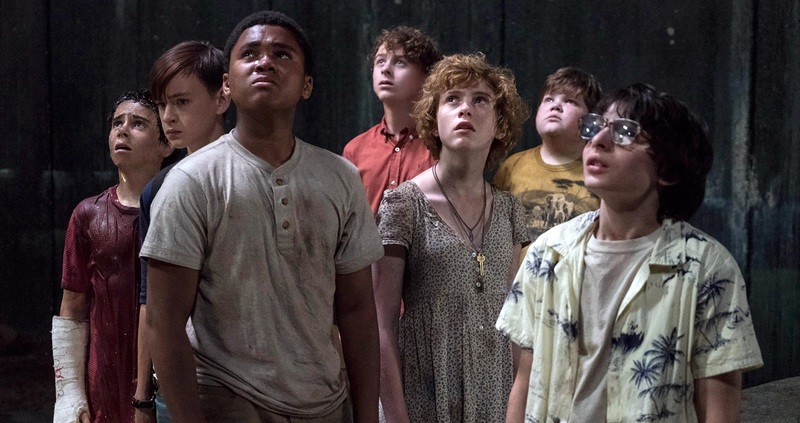 Andy Muschietti is an accomplished director and his effective and sturdy direction that gets to the heart of the battle to overcome evil and fear is one that truly captures the imagination. He makes the film a fun but frightening ride that has the time to invest you with the people populating it and can be emotionally in tune too. From the start, this manages to carve out its own triumph and stand out . It was previously adapted as a mini series that is held in high regard and at first I wasn’t sure whether this would work. But happily, it does work and marks itself as something excellent and different. Whereas the series had two timelines, this version sticks to a setting of the 80’s. The era proves very effective as a certain level of nostalgia is very apparent thanks to many pop culture references and the visuals. With strange angles and fine lighting, there’s a genuine atmosphere to It right from the start. The visual side is a major string in the bow of an impressive film and one I highly enjoyed. Quite a lot of scenes really stand out, particularly the ones of the fear inducing variety, such as Beverly being assaulted by stands of hair down the plug hole, an intense confrontation with the creature and a sensational finale in the sewer where battle commences. Crucially, It is just as much a coming of age story as it is one of horror. The kids all have their own issues to deal with along the way. From controlling mothers to abusive fathers and being an orphan, these tribulations can often be just as frightening as the approaching evil. I appreciated this approach that deepened the pre-adolescent characters and had me rooting for them. Which isn’t to say the horror moments aren’t effective, quite the opposite in fact. It all builds gradually, showing us Pennywise and other visions at first slowly and then with great momentum and maximum scares. And while CGI is employed, it never overshadow proceedings at all, if anything it enhances the terror at play. And Pennywise is a seriously eerie thing to behold it must be said. With a stomach churning voice and seriously terrifying appearance, he’s the stuff of nightmares. A sensational music score and sound design underline everything with creepiness and soul, largely stemming from how chilling it is and how amazingly it employs sonic trickery to unleash horror. The only niggle I have with the film is that it runs a bit too long. Other than that, I’m a massive fan. The cast make for a fine ensemble, with the biggest impacts being made by Jaeden Lieberher as the leader of the club and Sophia Lillis portraying the only girl who captures the attention of all. But there is seriously no weak link in this talented cast of youngsters who each have a moment to shine. I really enjoyed all of their performances as they fleshed out their troubled characters brilliantly. And of course there is Bill Skarsgård; ably stepping into Tim Curry’s shoes as the nightmarish Pennywise. He’s super disturbing and enthralling, relishing the sheer evilness of the part. An accomplished and convincing horror, with a lot of humanity in it and characters you root, It is exemplary horror movie making with a heart.